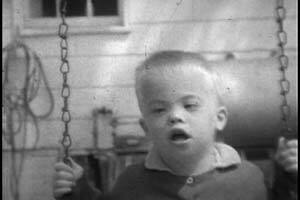 “Think of Me First as a Person” is a short documentary about a boy with Down Syndrome. The footage was shot on 16mm in the 1960s by the boy’s father, Dwight Core, Sr. The filmmaker’s grandson, George Ingmire, completed the film forty years later. This film explores perceptions about Down Syndrome from multiple viewpoints: the boy, his sister and the father. The sincere tone and heartwarming narration by the father lends a remarkable poignancy to this film. The story that unfolds within this documentary is sure to shed light on both the struggles and blessings of raising a child with special needs.